"May God give me divine inspiration. 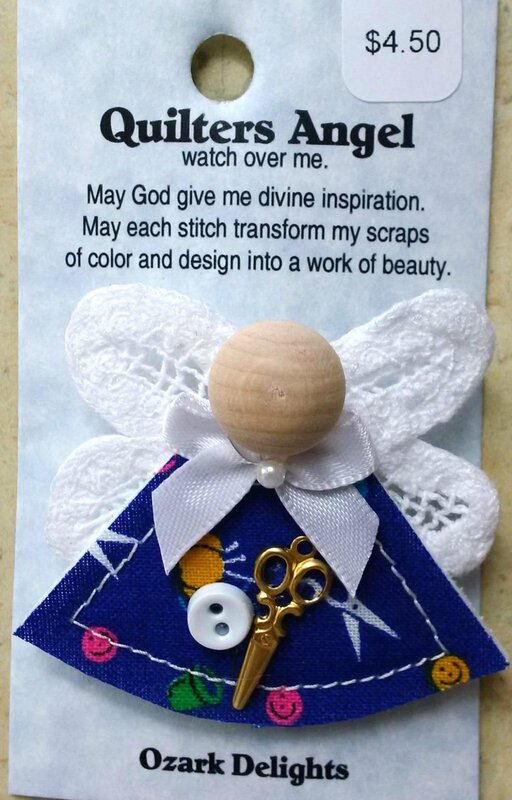 May each stitch transform my scraps of color and design into a work of beauty." Each angel is made from fabric, wood, and embellishments.